Q: Is NLGI Grade Essentially The Same As Viscosity? A: No. NLGI grade (named for the National Lubricating Grease Institute that developed the grading system), is primarily a function of the thickener used in the grease formulation. Meanwhile, the base oil(s) used in grease formulation determine what is known as the base-oil viscosity of the grease. The two characteristics are not directly linked. Two greases may have an identical NLGI grade but very different base-oil viscosities, while two others might have the same base-oil viscosity but dissimilar NLGI grades. NLGI grades classify grease consistency. The grades range from 0 (and 00 and 000) for virtually fluid substances to 6 for extremely hard, block-like substances. 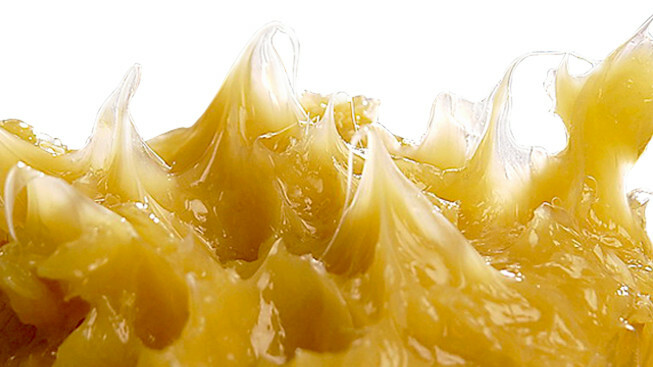 The thickeners in grease function something like sponges, releasing the lubricating fluid (base oil and additives). The higher the consistency, the more resistant the grease is to releasing lubricating fluid under force. Low-consistency greases will release lubricating fluid more readily. The right grease consistency, or NLGI grade, is important for ensuring that the right amount of lubricating fluid is provided and maintained in the system for proper lubrication. Because the lubricating fluid in grease is generally responsible for performing the function of lubrication, the viscosity of the base oil is as critical a factor in grease selection as viscosity is in the selection of a lubricating oil. If a lubricant’s viscosity is too high for a particular application and its operating conditions, the lubricant might not flow adequately to where it is needed in a timely manner. Likewise, if the lubricant’s viscosity is too low for the job, the lubricant might not sufficiently separate and protect moving parts as intended. Either scenario may result in excessive friction, wear and equipment damage. When selecting grease, make sure that you choose the appropriate NLGI grade and base-oil viscosity for your application and operating conditions. Isel offers a wide variety of industry-leading greases and can help you make the right choice for your needs. Contact us today.